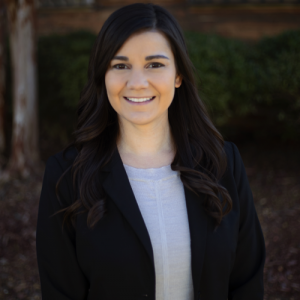 Abby Labat Smith joined the firm in 2017 as an associate attorney after receiving her Juris Doctorate degree from Mississippi College School of Law in 2015. Abby received her undergraduate degree from Louisiana State University in 2012 with a degree in Criminology and a minor in Psychology. As a South Louisiana native, when Abby is not cheering on the LSU Tigers, she spends her free time with her husband and her two dogs, a rescue pup and a corgi. Abby is licensed to practice law before all state courts in Alabama (2017) and Louisiana (2016).